Welcome to Learning and Sharing Child Development Center. For over 25 years, Learning and Sharing has been a trusted name among the parents and families. Our classrooms provide safe and nurturing learning environments for children age six weeks to school-age, offering age-appropriate opportunities to discover, explore and learn. 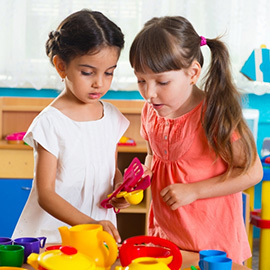 Our approach to day care, preschool and kindergarten is based on widely accepted research of childhood development that clearly indicates the deepest, most genuine learning occurs for children through play-based activities. We foster the cognitive and social development of each child with fun lessons that are lovingly guided by highly trained teachers, preparing children for social and academic success. We are located on a beautiful, quiet, peaceful and safe environment at 335 Front Street, New Cumberland, PA. Our building is specifically designed and built for children with three play grounds. 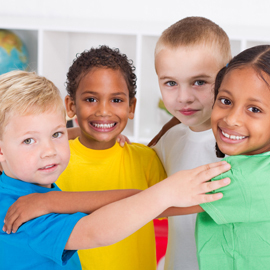 We are a child care development center licensed by the State of Pennsylvania Department of Public Welfare and Department of Education. Your child’s first educational encounters will influence their attitude toward all future learning. We endeavor to make each child’s first formal learning experiences positive and rewarding. 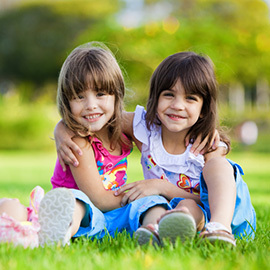 Together, we help your child reach their maximum potential! Contact us today to schedule an appointment! 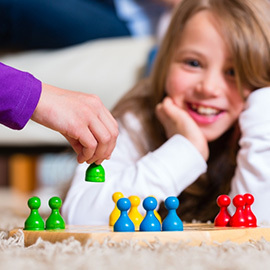 The staff utilizes planned & spontaneous play activities throughout the day. Come check us out! We endeavor to make each child’s first formal learning experiences, whether in infant daycare or in kindergarten, positive and rewarding. By nurturing each child’s special talents, we strive to create a love of learning and a love of self. 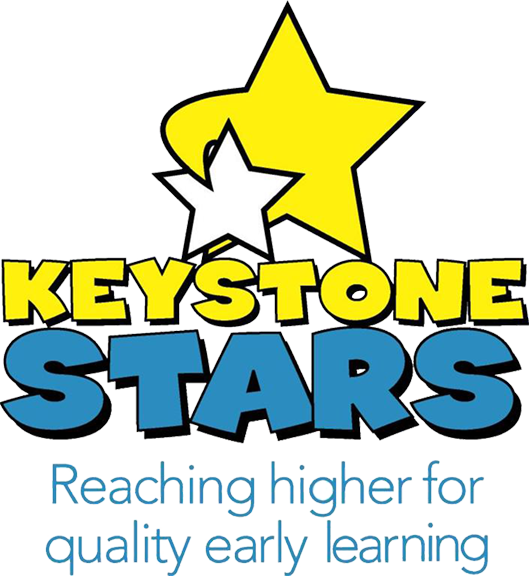 Learning and Sharing is licensed by the Department of Welfare, the Department of Education and is a Keystone STAR 3 center.